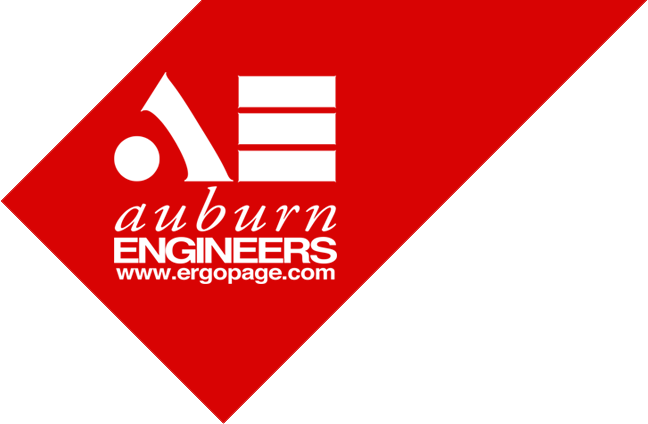 Welcome to the official website for the Ergonomics Design Competition for Student Teams, sponsored by eTools, the only 3rd Generation Ergonomics Analysis and Evaluation software, developed by Auburn Engineers, Inc. This semester-long project teaches your team each step of the eTools ergonomics problem-solving process, from risk assessment to solution implementation. Your first real world job will constantly bring unexpected, tight-deadline projects to your feet. Our lightning rounds will prepare you for these in a low-pressure environment, while also teaching interesting learning points on ergonomics. Your team has 48 hours to prove how much it has learned in the Preliminary and Lightning Rounds by tackling a complex design project. Creativity and solid analysis must be balanced with efficiency to meet this limited timeline. Each year, one team will win the eTools Prize, an expense-paid trip as our guest to a national ergonomics conference, along with $300 per member. The remaining teams also have chances for a cash prize, including the eTools Alternate, Top Five, and Honorable Mentions.